Canadel Collection — Shop for deals on furniture, sofas, recliners, dining sets and more! 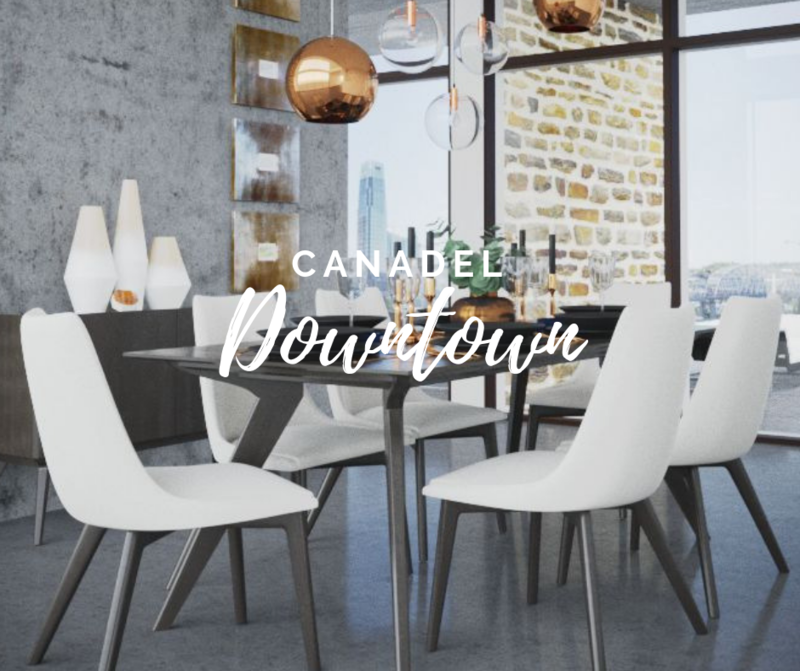 A Canadian, family owned company, Canadel has been hand-assembling and hand-finishing the highest quality tables, chairs, and other furniture pieces since 1982. What Canadel offers are heirlooms in the making: environmentally friendly, well-built pieces of furniture that can be passed on from generation to generation, prized and loved. Best known for their dining room furniture, Canadel’s great selection now expands beyond their famous dining sets of table and chair, now with sideboards, benches, ottomans, and kitchen chairs and tables that are also suitable for use throughout the house. A coffee table may anchor a modern living or family room handsomely. Upholstered armchairs and side chairs are an elegant way to accentuate a formal living room. Consider a Canadel bench for your kitchen to maximize space while adding a whimsical mood. A buffet is a great way to add storage to a hallway or entrance. Their round pedestal tables are equal parts functional as it is a piece of art. 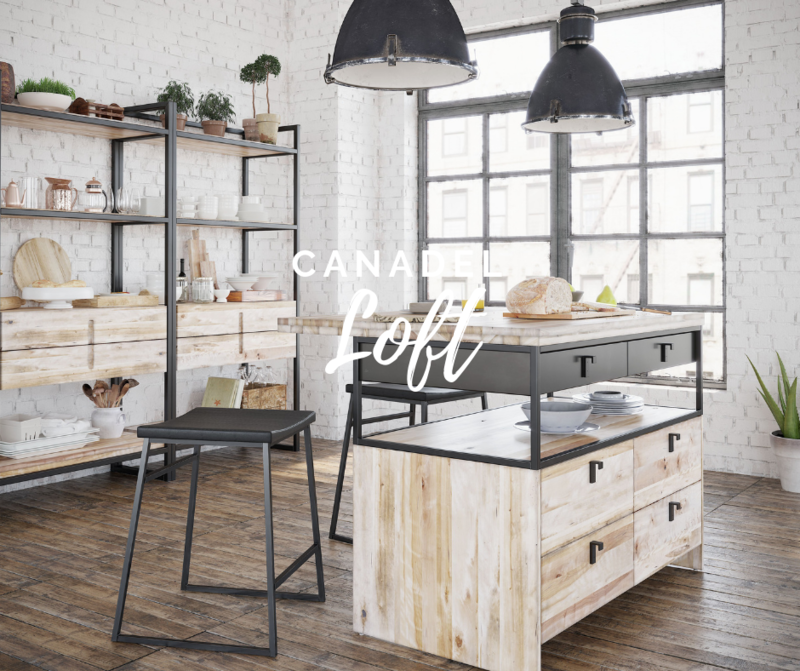 Canadel has pieces that range from rustic, farmhouse country chic to contemporary, modern urban vibes. The brilliant use of metal and wood also offer a unique look unlike other furniture collections have to offer. Each Canadel product is handmade, with every detail given the lavish attention it deserves, from wood stain to leg design to a cushion’s last seam. The country chic look is warming and inviting, with a focus on simple forms and down-to-earth materials. For a more industrial, urban design, try the Loft Collection. A timeless appeal is available in the High Dining Collection. Canadel provides the palette to inspire the design and look that is best suited for your home.